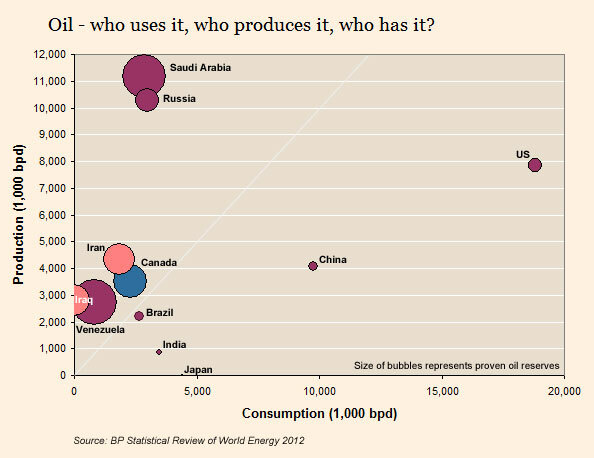 Saudi Arabia produces the most oil in the world, as you can see in this chart from the Financial Times. The United States is the country with the highest consumption in barrels, but also produces quite a lot. Japan sticks out in that it does consumes relatively much, but doesn't produce any oil. For Iraq it is the other way around.